The Lime and Reveal concept will be premiered at Corona’s summer brand activations over the next few months. We were delighted to team up with Corona and the C&C Gleeson group to create this innovative industry leading concept. The concept itself utilises key Corona imagery to create a unique competition metric that provides an experiential experience for attendees. The metric has never been seen before in events and offers an incredibly distinctive and creative event solution that is soon to be rolled out in events across the country and beyond. Ahead of a busy summer of events ”“ we have joined forces with C & C Gleeson group to manage the summer activity for their Corona brand. We were excited to work with the Corona team, a global leader in creativity and innovation. Our aim – to deliver the highest standard of brand activations throughout various locations around the country. It was our job to create and implement Corona’s summer of brand activations, and to develop a unique competition metric that would create a buzz around the summer activity. We found kindred spirits in the Corona marketing team, who’s outside the box thinking and passion for their brand was inspirational. We pride ourselves on being a creative organisation who always over deliver ”“ our aim was to ensure we provided our clients with that extra special concept that would mark the Corona summer activity as a series of industry leading brand activations. We couldn’t have asked for better partners who supported our imagination and creativity. Our innovative team got to work. We researched the key brand message, imagery and unique selling points to really live the brand. We got in the zone. Ideas were flowing. It was our job to recognise what quirky ideas had merit to be developed further. Once we had finalised our creative concepts we set about developing the ideas and making them a reality. Making the idea a reality proved to be more difficult than expected. The majority of suppliers we contacted told us that they had never heard of anything like this before and that it couldn’t be done. It was impossible to design a card like this. It was impossible for a lime to be used to activate ink like were suggesting. We had a choice ”“ persevere, or abandon our idea and focus on something else. We truly believed in this concept and wouldn’t take no for an answer. Our search went global. Once the materials required were identified and sourced from various locations around the world ”“ we needed to develop the aesthetic of the lime and reveal concept. Our creative team developed the bespoke card utilising identifiable Corona imagery to ensure maximum brand recognition. The Lime activated competition slip is specifically designed for our summer brand activations. 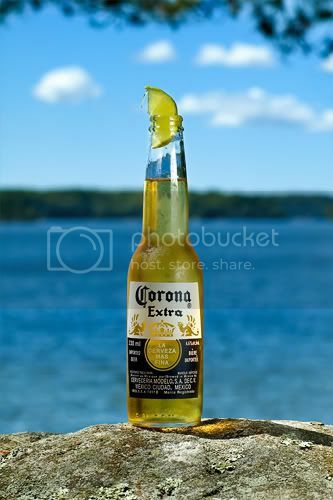 Lime and Reveal is due to be rolled out for the Corona brand across the country and beyond. We aim to continue to develop the concept. Our work is never finished, and with such great partners in C & C Gleeson there is no limits to what can be achieved.